The budget friendly android ICS tablets in Indian Market is raised everyday. Every electronics manufacturers have jumped into launching their own variant of tablet PC as it is the right time to jump in the market and create an identity. As of now in India, Micromax has been successful and it occupies 18% of the total market next to Apple and Samsung. 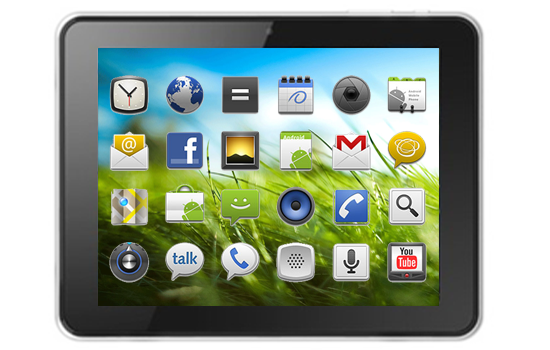 Now, the nxgelectronics recently launched a new budget friendly android tablet namely Xtab A9 Plus. Eventhough it is a low budget tablet it comes with many impressive features and specifications. It is powered with Android 4.0.3 Ice Cream Sandwich. It is one of the most lovable android version as it brings rich notifications, customizable home screens, easy multitasking etc. It has 7 inch IPS Capacitive Multi-touch screen. It has 1GB of RAM and 8 GB of Internal Memory. Further it supports upto 32GB of expandable memory. It supports many languages and all kind of images like JPG, JPEG, GIF, BMP and PNG. It comes with Lithium-ion polymer battery and supports upto 2-4 hours of battery backup. Further it supports various video formats which includes 3GPP, MP4, 720P(1280 x 720) Video Formats AVI , MP4 , FLV , 3GP , MOV , ASF , MPEG , RMVB , etc. It also supports Audio MP3 , AAC , WAV, etc. It comes with the earphone with 3.5 mm Audio Jack, USB cable, Charger, Mini USB to full USB converter. It has 2 megapixel front facing camera and dual camera at back with High Quality VGA. Further it has Wifi, 3G Dongle support and Ethernet support. Additionally, it comes with many pre installed apps such as Advanced task killer, Facebook Messenger, Kingsoftoffice, NDTV, Skype, NXG Support app, What’s app, NXG Blog ZigApp, KingsoftOffice, Facebook, RocketPlayerLite, YouTube, Times of India and Sparsh Indian Keyboard (Hindi/Marathi typing) etc. It is available in Metallic Silver in the price range of just 6990 Rs. As of now, they doesn’t reveal anything regarding its availability in shops but we can expect it soon. So, guys who are really interested to buy a low budget tablets may consider this too along with some other low cost tablets which includes Zen Ultra Tab A900, Karbonn Agnee 3G tablet, Kobian Mercury, Intex I Buddy, Scroll Evoke etc.